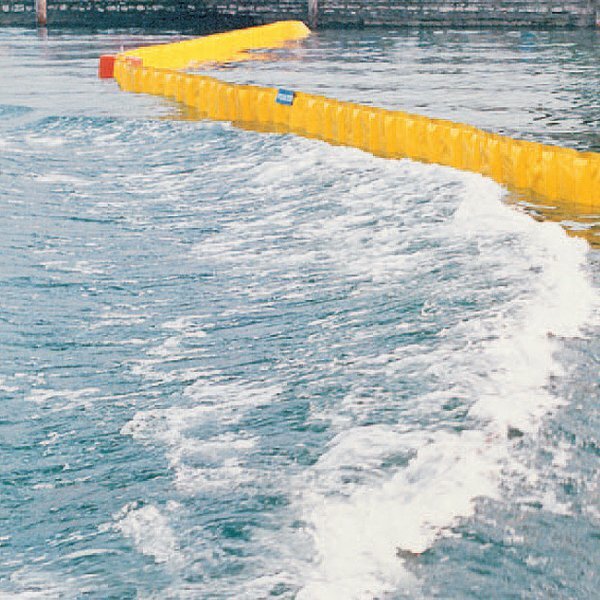 The FLOATEX anti-pollution barriers of the PBAV series are designed for temporary open-sea installation in long continuous lines. 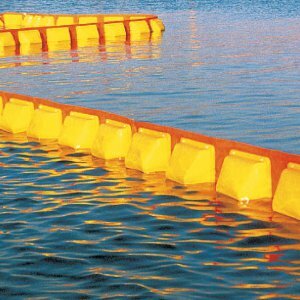 The barrier is constructed of a PVC covered material with high resistance to tearing, marine agents, ultraviolet light and a large range of pollutants. 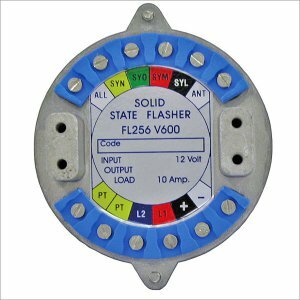 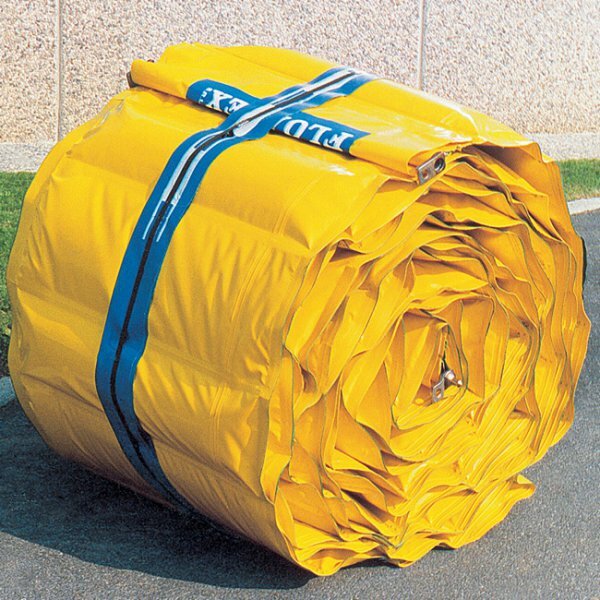 Floatation is provided by specially designed elements of closed cell expanded Polyurethane. 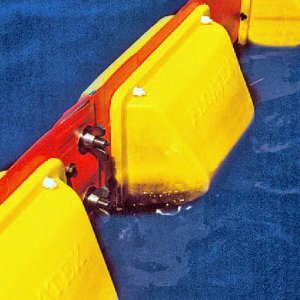 The floatation modules, with moulded-in ballast, are fitted into vertical pockets in the skirt, their rigidity ensuring the vertical stability of the barrier. 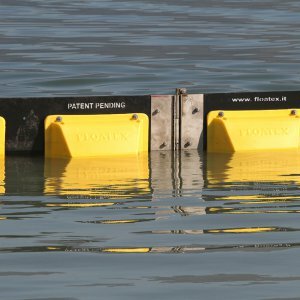 This construction has permitted FLOATEX to realize an extremely compact streamlined barrier with no external elements which may be torn off during installation or form propagation points for marine organism growth. 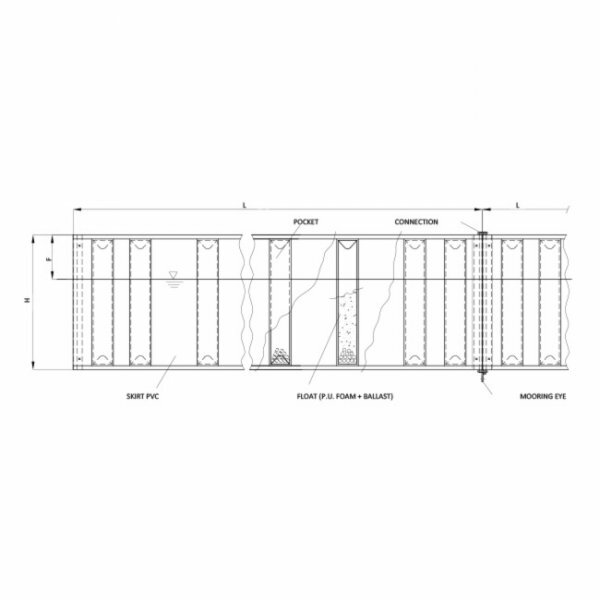 The thickness of the skirt material and the quick release connection system in stainless steel between sections ensures a high tension resistance. 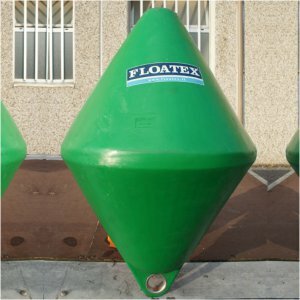 If required, FLOATEX will supply a mechanical reeling system for barrier storage, dimensioned to suit the barrier length in question. The reel, constructed in galvanized steel, may be powered with an all electric system or electro-hydraulic system. 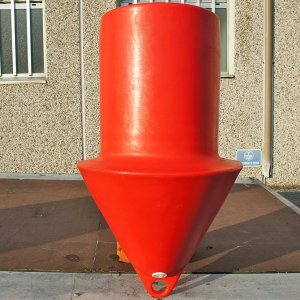 The dimensions of the PBAV series, listed in the accompanying table, indicate the extreme versatility of the barrier, which may be launched from a wharf, tug boat or antipollution vessel for emergency pollution containment, or can be employed as a fixed barrier with minor modifications.